Attitude is the principal thing in life. It is not the conditions in life which change life for us, but mostly it is our attitude toward life and its conditions upon which depends our happiness or unhappiness. With a sympathetic attitude one is able to sympathize with those who deserve sympathy and even with those who do not deserve sympathy. It is not the deserving or undeserving persons, but mostly it is the attitude with which they are seen. A person who is impressed by wrong, to him there is much wrong in the world and less right. The more he looks at life with this attitude the more wrong he sees. In the end to him every thing becomes wrong. It is a kind of mental agitation against one thing a person met with in life which was wrong, which makes him see wrong in everything. A person who has once burnt his lips drinking hot milk blows the buttermilk to cool it before he drinks. The human mind is like a compass. If it is once made to point out wrong, whatever way you may take it, it will seek its own point all the time. So it is with the doubting person. A person who begins to doubt his enemy next doubts his friend, then he comes to doubt his nearest and dearest friends in life, and he cannot make his mind trust anybody in the world. With the best motive one may approach him, in every way one may show him sympathy, he will still think, 'Perhaps in this sympathy there is hidden an enmity.' It is generally the case with human beings that their attitude becomes fixed. It is not a rare thing, seldom met with. But the one who trusts will trust everyone and under all conditions, and who idealizes and sees good will see good in, and will idealize, even undeserving ones. No doubt a better attitude fixed is preferable to the bad one, but the most desirable thing is to have the attitude un-fixed, moveable. One must be free to form an opinion about a person and to adopt a method of working under certain conditions, without having to subject one's attitude to some preconceived ideas one has in the subconscious mind. To be able to approve or disapprove, to be able to like or dislike, to be able to choose or give up. Goodness is better than wickedness, but freedom is higher than goodness. By freedom is meant not only freedom from outer influences but freedom from certain inner influences which obsess one's life, often making it wretched and miserable through all conditions. The attitude becomes high and broad when one looks at life from a higher point of view. When the point of view is not high the range of man's sight becomes limited; man becomes narrow in his outlook on life, and in his feelings, thought, speech and action the same is expressed. Why is God pointed out on high, toward the sky? Why not toward the earth, for God is everywhere? The reason is that within the range of God's sight the whole universe stands as a little grain of corn, as to one that flies in the balloon and looks down from high the whole city comes within the range of his sight, when he stands on earth he sees no further than the four walls which keep the whole world covered from his sight. What does it mean to become spiritual, or godly? It means to have a higher view of life, to look at life from a higher point of view. It is the high point of view in life which ennobles the soul, it is by a broad outlook on life that spiritual aristocracy is realized. Sympathy is an awakening of the love element, which comes on seeing another in the same situation in which one has been at some time in one's life. A person who has never experienced pain cannot sympathize with those suffering pain. In the same way a person sympathizes with someone whose honor or reputation has been harmed. The one who has no honor or reputation himself would not mind for he does not know what it is and what it is to lose it. A rich person who has lost his money may be laughed at by someone who has never had it. He can sympathize with him who has wealth, and still more can he sympathize with him who had wealth and lost it. Very often the young imagine they love their mother and think they sympathize with their parents, but they cannot come to the full realization of their love until they reach that situation. Very often people think it cruel and unkind of their friends when they do not receive sympathy from them, but they do not know that to have sympathy does not mean having a warm heart only, but it means having that experience which reminds them of it, making them sympathetic. Sympathy is something more than love and affection, for it is the knowledge of a certain suffering which moves the living heart to sympathy. Many wonder if sin is an attitude or an action or a situation or a result, and the answer is that all these combined together make either a virtue or a sin. The absence of one from it makes it incomplete, but all these together make it a complete virtue or sin. Now the question is where it is originated, what is the source of it, and the answer is that its origin is in wrong thinking. Wrongdoing comes from wrong thinking and wrong thinking comes from wrong feeling. And yet it is difficult to distinguish between feeling right and wrong. In short, as a definition of the word I would give this: Every attitude, word, or action that deprives one of the expected result, the result which is expected not only by the mind but by the soul, may be called sin. That which deprives one of peace, freedom, happiness, tranquility of mind, and ever-increasing power of will may be called sin, whatever be the action. It may be an action which all the orthodox call virtue, and yet it cannot be a virtue. Why is a virtue called a virtue? Because it brings happiness. It is not because it is a particular kind of action, it is because it brings to one what one's whole being is desiring. It brings freedom, it brings the air of happiness, and it gives by its pressure upon one's mind an increase of will power, that is why it is called virtue. It is therefore that no person in the world can judge another person, whether superior to him in evolution or inferior. The person himself is the best judge of his action. If one could only see that among one hundred people who are sentenced by the courts there is hardly one to be blamed, to be held responsible for his fault. And if there is anyone to be held responsible, it is all we human beings. Why do we not all work, why do we not all help them to kindle the light in their soul that would show them their path plainly? It is not necessary that the clergyman, the priest only should be responsible for the evolution of each individual. We must work in the capacity of brother and sister to everyone. In the realization of the brotherhood in the Fatherhood of God we must hold it as our duty, our sacred task, to waken in our brother, with love, with respect, with modesty, with humility, that power of understanding what is really for his best, what can really benefit him. It is not the mission of one person, it is the mission of every person. And if we each considered our share of work in the Message and showed it by our own example in the world we should be doing a great duty toward God and humanity. The question of the will, human and divine, may be seen from two points of view, from the wisdom point of view and from the point of view of the ultimate truth. If words can explain something, it is from the former point of view. The latter point of view allows no word to be spoken in the matter, for in the absolute truth two do not exist, there is no such a thing as two, there is one alone. From the wisdom point of view one sees one weaker, one stronger, and one has to give in to the power of the other. This one sees in all aspects of the creation. The larger fish eats the little fish, but the little fish lives upon smaller fishes. So there is no one in this world so strong that there is not another person stronger still. And there is no one in this world so weak that there is not another that is weaker still. The other thing one can think about is the opposing conditions and situations which stand before a willing mind and a striving person like a stone wall, so that with every wish of doing and accomplishing one does not find one's way. It is this experience which has made man say, 'Man proposes, God disposes.' The Hindu philosophers have called these two great powers, one of which is as an intention and the other the power of destruction, by the names Brahma, the Creator, and Shiva, the Destroyer. And the most wonderful part in this creation and destruction is that what Brahma creates in a thousand years, Shiva destroys in one moment. 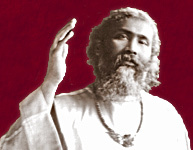 Since God is almighty, the wise see the hand of God in the greater power, manifesting either through an individual or by a certain condition or situation, and instead of struggling too much against the difficulties in life and instead of moaning over the losses which cannot be helped, they are resigned to the will of God. In short, every plan that a person makes and his desire to accomplish that plan are often an outcome of his personal will, and when his will is helped by every other will that he comes in contact with in the path of the attainment of a certain object, then he is helped by God, as every will goes in the direction of his will and so his will becomes strengthened, and often a person accomplishes something which perhaps a thousand people would not have been able to accomplish. Then there is another person who has a plan or a desire, and finds opposition from every side. Everything seems to go wrong, and yet he has the inner urge which prompts him to go on in the path of attainment. There also is the hand of God behind his back, pushing him on, forward in his path, even though there might seem oppositions in the beginning of his strife – but all's well that ends well. The saintly souls, who consider it as their religion to seek the pleasure of God and to be resigned to His will, are really blessed, for their manner is pleasing to everyone, for they are conscientious lest they should hurt the feelings of anyone, and if by mistake they happen to hurt someone's feelings they feel they have hurt God Whose pleasure they must constantly seek, for the happiness of their life is only in seeking the pleasure of God. They watch every person and every situation and condition, and their heart becomes so trained by constantly observing life keenly, as a lover of music whose ears become trained in time, who distinguishes between the correct and the false note. So they begin to see in every desire that springs in their heart, if it is in accordance with the will of God. Sometimes they know the moment the desire has sprung. Sometimes they know when they have gone halfway in the path of its pursuit. And sometimes they know at the end of strife. But even then, at the end of it, their willingness to resign to the will of God becomes their consolation, even in the face of disappointment. The secret of seeking the will of God is in cultivating the faculty of sensing harmony, for harmony is beauty and beauty is harmony. The lover of beauty in his further progress becomes the seeker of harmony, and by trying always to maintain harmony man will tune his heart to the will of God. Q Is there, in relation to Qaza and Qadr, a difference in the path of the saint and the master? A Certainly. The saint is resigned to Qaza, and the master has regard for Qadr. Qaza is the will of God, and Qadr free will of an individual. Q Will you please explain what you said yesterday about the two paths, the one which leads to saintliness, and the one which leads to mastership? A There are two paths which lead to the goal, one of the saint and the other of the master. In one path the will is used in outward things, in the other path the will is mostly used to control oneself, in other words for the time being against oneself. This is the saintly path. It is wise, before one knows of the will of God, first to handle one's own will, and to use it knowing that it is given for some great purpose in life. The one is the path of renunciation, abnegation, resignation, and self-denial, from the beginning to the end. And by doing this one arrives to that meeting ground where one touches that divine perfection. And then there is the path of the master. The path of firmness and obstinacy, breaking and penetrating through every difficult situation that comes before him. And so fighting all along from the beginning to the end. In this he has to fight with himself and with the life outside. Therefore the struggle is both sides. And there is all the time the work of the will power, and all through there is a battle. In this battle all the conditions that one has to go through are of the same character and nature as of the warfare. To be wounded and to cause wounds, and to be hurt and to hurt another also. And in this way it is a constant struggle. But still for the higher aim, and for the greater gain. In the end he strikes the same note which the saint has struck. Neither the path of the saint is easy, nor of the master. The place where they meet both become one. For the resignation brings the saint to the same realization of the harmony with the Infinite, as the struggle brings the master to the same conviction in the end. Very often in expressing one's opinion – rather in giving one's idea about another – one places himself before others for examination. As soon as a person has expressed his opinion all others know what note of life he strikes – that is, those who have the knowledge to know it. This does not mean that one must not have an opinion. It would be like saying one must not have a mind. Where there is a mind there will be an opinion. Does it not very often happen to an intelligent person that immediately after having expressed his opinion he finds out how foolish he has been in expressing his opinion? Often through nervousness, through lack of control over oneself, or through lack of patience one expresses one's opinion. That opinion is valuable which comes by invitation. When someone has asked, 'Please tell me, what do you think of it? ', then the opinion becomes the answer to a demand. Sometimes the opinion is nothing but the voice of pride, and sometimes one's opinion is colored by one's favor or disfavor. Sometimes opinion lacks knowledge of the object on which it is formed. The wise therefore asks himself the question whether he has thorough knowledge on the subject upon which he expresses his opinion. If one took into consideration that very often one does not know what effect the expression of opinion may produce in the mind of the hearer, what reaction it will have, desirable or undesirable, one would certainly think much before expressing an opinion. In the terms of the Sufis there is a phrase, dakhl dar maqulat, interference with the expert. For a nurse to attempt to direct the surgeon who is busy doing his work, for the clerk to advise the judge while he is taking a case, for a student of the violin to tell the composer what he must do in a certain composition, all these things are meant by that phrase. If one considered, in order to acquire a thorough knowledge in any line of work, what study, what practice, and what experience is required, and if one would consider, by the time a person has reached a certain age, what he has had to pass through and what he has had to learn, one would certainly have consideration for the expert and for age before expressing an opinion. No doubt there are minds which show from childhood that brilliance which another person may not acquire in the whole life, and there is a genius who might show from youth a capability which can hardly be found among the experts. But even such gifted souls need consideration just the same. I have seen those who promised to be really something in life, who promised to accomplish something worthwhile in their lives, in spite of all their energy, enthusiasm and knowledge taking gentle steps in the path of life and halting at every other step lest they should do a wrong thing instead of the right. What is Sufism? It is wisdom. To learn wisdom at every step in the path of life is the only work of the Sufi. Conscience is not only a record of one's experiences and impressions gained in life, but it is a living voice of the heart which makes all that is in the heart, so to speak, dance in the light of justice. Therefore conscience is a world in man, a world as living as the world in which we live. And even more living than this, for the world of conscience is durable, whereas the outer world is subject to destruction. The word 'hiding' or 'covering' of a certain thing is for our limited understanding. In point of fact nothing can be covered, nothing can be hidden, since the nature of life is action and reaction. Every outer experience has a reaction within; every inner experience has its reaction in the outside of the life. In the Quran it is said, 'Their hands and feet will give evidence of their action.' The idea, from the point of view of metaphysics, may be thus explained, that there is no action which has not a reaction. Every outer action has a reaction inwardly and every inner action has a reaction outwardly. The finer the person the finer his conscience, and grossness makes the conscience gross. It is therefore that one person is more conscientious about his doings than the other person, one person repents more for his mistakes and failures than another person. But the most interesting thing in the law of life which one might watch is that the scheme of nature is so made that a conscientious person is taken to task more seriously by the scheme of nature for his evil-doing than an ordinary person who never thinks what he says or does. It might seem as if even God did not take notice of his wrongdoing. According to the metaphysical point of view in the soul of the conscientious God is more awake. In the soul of the other person God slumbers, He does not take serious notice of things. If one were to watch one's own conscience one would no longer have a thirst for phenomena, for there is no greater phenomenon than what is going on within oneself and the action and reaction of every experience in life which materializes and manifest to one's view in various ways and forms. A clear conscience gives the strength of a lion, but the guilty conscience might turn a lion into a rabbit. But who is it in the conscience who judges? In the spheres of conscience the soul of man and the spirit of God both meet and become one. Therefore to a soul wide-awakened judgment Day does not come after death, for him every day is judgment Day. Q Is not the disapproval of conscience due to the soul's knowledge of certain consequences in the past? A The whole life of the world is built on conventionality and accepted ideas, and conscience is made on this edifice. Conscience is not necessarily truth. Of absolute Truth there is no word to be said. All else is Maya, illusion, and when one looks from that point of view there is nothing wrong, nothing right. If we accept right we must accept wrong. The modern German scientist Einstein's theory is what the Hindus have called Maya, illusion. Illusion caused by relativity. The existence of everything is by our acceptance of it. We accept a certain thing to be right, good, beautiful, and once accepted that becomes part of our life, we have accepted it to be, so it becomes. A mistake cannot be a mistake unless we accept it as such. Our conscience tells us, but we have first told our conscience, and our conscience has accepted. Dervishes prove this by saying that fire will not burn us. Hell-fire is created in the conscience, and if in the objective world we can prove there is no such thing as fire, certainly in the conscience it does not exist either. The dervish jumps into the fire, and so proves his case. The best way of testing life is to have conscience as a testing instrument, to test and see if there is harmony or disharmony. Conventionality is no doubt man-made, as art is man-made. But as art is the finishing of nature, so in conventionality there is the finishing of civilization. Conventionality is no doubt acquired, not inherited, but at the same time the love of conventionality is inherited also. Children born in families in which conventionality has existed for a long time are born with a tendency toward it and it becomes natural for them to learn it, also while learning they do not feel it to be foreign to their nature. No doubt the extreme of all good and bad things is to be avoided. Nature has helped as far as that the soul is born on earth, and then comes education, in which is the fulfillment of the purpose of life. Conventionality is not the goal, and yet this, which makes civilization, is a bridge which is connected with the goal of life. Conventionality loses its virtue, as do all things, when they become void of sincerity, for sincerity is the soul of every virtue. During the age of aristocracy conventionality increased in every part of the world and became the main part of education for that time. And when revolt arose against the spirit of aristocracy every good and bad thing that aristocracy possessed was condemned. Whatever line of reform the people in the world may adopt, they cannot be free from conventionality and yet progress. These two things cannot be separated. Only what can be done is to break one form of conventionality and build another form, call the first form conventionality and the next Bohemian life, it all comes to the same. There is one thing that must be considered, that freedom is the soul's purpose, and if, without hindering the conventionalities, one can rise above them, so as to breathe the breath of freedom, that would be the true democracy. Democracy void of culture and refinement can very well be called anarchy. A Civilization means progress. Those who are not educated, they must be educated to understand life better. There are only two things. Either go forward, or go backward. Either begin to think as everybody else without education thinks, or take the one who is not educated with you, and go forward. One thing or the other. As the inner inclination is to go forward, and to take the one who cannot understand just now gently ... that the beautiful things are for the benefit of humanity. I will tell you a little example. When traveling in India, I was staying in a place near a Hindu temple. And there were two porters who took care of that temple. They were of Afghanistan, proud and stiff, rough and rigid in their manner, and yet in their expression there was honesty and goodness. As I passed through that way I saw them ignoring, so to speak, my entering and going out, lest they may have the trouble of observing any conventionalities. One of them came to me with a message from his master. I got up from my seat, and I received him most cordially. And since that time, every time I passed, even if five times in a day, I was very well-received with smiles, and with very warm welcome, and there was no more ignoring, because education was given to that person without hurting his feeling. That gave him the pleasure. Certainly he thought that he could give to another also. The life which we know is from our own life, therefore the nature and character of that life which is eternal is beyond man's comprehension. By this it is not meant that man is incapable of knowing the deeper life, but only that what man knows of life is from the knowledge of his own life. The difference between the life known to the generality and the life which is unknown, is that of illusion and reality. Man mocks at the idea if he be told that all this is illusion, until he dives deep and finds out by comparison that this life which is subject to birth and death and subject to changes is a life and yet no life. This life is like a bubble in the sea. The bubble is existent and yet in reality non-existent when compared with the sea. And yet we cannot say that the bubble is non-existent, for it merges in the same sea in which it once appeared. So nothing takes it away but its own source and its original being. The nature of this life of ours can be better understood by knowing its secret. And the knowledge of its secret will certainly enable us to live it to its best advantage. What happens is this: man, eager and anxious to get the best out of life, owing to his ignorance, becomes a loser in the end. In order to know the secret of life one must understand the law of creation, the law of sustenance and the law of destruction. We must understand that destruction awaits every created thing, and to save it from destruction there is one mystery to be solved and that is the mystery of sustenance. What happens is that in every activity which is directed toward a certain result, owing to one's anxiety and eagerness, one draws that result closer before the time, and in this way very often man brings about that destruction which, if he knew that it could be warded off, he would put off to a later time. By this knowledge one develops patience, for very often it is the lack of patience which becomes the cause of destruction. An impatient person tries to reach too soon that culmination which causes destruction. And by patience, the one who is able to control his activities in life will become the sustainer of life and will make the best of life. In the Hindu mythology Vishnu is the Sustainer, in other words the king of life. The science of today, wakened to the same mystery, has been able to control matter to man's best advantage, more than we have ever known before in the history of the world. If the same mystery were used from a spiritual point of view in everything one does and one wishes to accomplish in life, success would surely be one's own. In every little thing one does in life this point of view must be understood. Even in such things as eating and drinking, if one does not sustain the rhythm he cannot take the real benefit of the food he eats and the water that he drinks. The person who eats beyond the culmination of appetite will always complain of lack of digestion. So in business, industry, professions, study, meditation, in all affairs of life, whether affairs of the heart or of the head, the consideration of controlling one's activity and guiding it and proceeding gradually toward a culmination is needed. Q In regarding the activity in life of the Shiva side of the deity ...? A It is a subject which is very vast, and it is difficult to explain that subject in two words. But that aspect of destruction and knowing about destruction can be easier understood again by something which we see in the modern science, by the medium of what they call inoculation. By putting that destructive element in one's body one makes one's body disease-proof. That particular disease is no longer a disease, but the nature of that person. That is the method of the mystic from a spiritual point of view. That death is a death so long as man is unacquainted with it. When man eats it up, then he has eaten death. Death cannot eat him. Then he knows the life eternal. That is the mystery of the Message of Jesus Christ. To seek eternal life from the beginning to the end. The mystery of eternal life is past once a person has eaten death, then he is eternal. In little things of life, one person says: 'I do not like to touch vinegar. It hurts my health'. One person says: 'I cannot bear to eat cream, I cannot digest it'. Another person says: 'I cannot stand to have sugar in the tea, I do not like it.' For him the sugar is a poison. If he took the poison once, the same would become sugar for him. All things that one thinks that they are foreign to his nature, by this he makes his nature exclusive. And by becoming exclusive he makes himself subject to them in a way. There comes a time when they rule him, a situation when he is under them. A person who says: 'Bitter quinine, it is too bitter, I cannot stand it' – he is in a fever, the doctor says he must have it. He dreads having it. At the same time he cannot help it. Therefore the way of Shiva was always to work against one's weaknesses. He counted them as weaknesses, not as nature. 'Nature, all is my nature, but what I cannot have, that I make foreign to my nature. If I have separated it, there comes a time perhaps that I become so weak that I cannot help having it.' Would you believe that the snake charmers, I have found some of them who have gradually, by making the snakes bite them time after time, developed so that poison does not hurt them. So that when they go, they just catch the snake in their hand. If the snake bites them, it does not hurt them. Shiva is pictured with a cobra round his neck. Out of death he has made a necklace. It is no more a death to him. One can go to extremes. But still it is a law that must be studied and known. The only mystery it teaches is not to consider anything in nature as foreign to one's nature. If it were not in use one would not know it. By this one overcomes all the destruction which is the source of fear and pain and disappointment. Q Is it perhaps God's way of making us immune to sorrow, when He sends us troubles and difficulties? A Every way is God's way. When He sends us troubles and difficulties, that is God's way. Neither there is the law of God to send only sorrow and trouble, nor to send us only joy and happiness. But if we are thankful, and see the hand of God in all, we would certainly be grateful – and even after sorrow – and to see in both the way of God. Very often there are people more impressed by the doctrine of Karma, who say that if illness has come, 'Well, now it is our Karma, that we have to pay the due. Then we must take it patiently.' I think there is a virtue in it also, and to see that it is from Karma. But it is not sufficient. We must know that happiness is our birthright. In our happiness there is the happiness of God. In our sorrow there is the pleasure of God. Therefore we must do everything in our power to get out of that illness, instead of thinking that the Karma had thrown that illness, and we must lie patiently, with a rock over us, and not try to push it off because it is Karma. A 'Too' is always bad. If a person asked me: 'Is it right to be too good?' It is enough to be good. Impatience of every kind is to be avoided. One loses one's equilibrium. There is no gain out of impatience. Q Is in our sorrow not God's sorrow reflected? A Certainly, as in our happiness God's happiness is reflected, so in our sorrow God's sorrow is reflected. If God would not sorrow, man would be greater than God. For man is capable of two things, and God would only be capable of one. A I did not mean to say that in our sorrow there is not God's sorrow, but I meant to say that God is not pleased – as man is sometimes – in causing sorrow to man. It is impossible to have no sorrow, but we want balance in sorrow and joy. When there is too much joy and no sorrow then life becomes monotonous. It is therefore that the nobler the soul is, the more sense of shame it has, for that sense is wakened in it. And the lack of nobleness of spirit is signified by the lack of that sense. There is one person who fights against that sense, which in time becomes blunted. And he might feel happier for the moment, having that sense in him so blunted. However the limitation is there. The sense of shame is a channel which leads to that goal which is called perfection. But no doubt the more it is wakened the more one is subject to unhappiness. And yet true happiness is in the realization of perfection, and therefore in the end he does not lose much, in spite of the apparent gains that come to the one who is shameless. In practical life in the midst of the world the shameless has apparently more ease of action and of movement likewise. The one who has the sense of shame awakened, for him life is difficult. Where does man learn virtue? He learns it from that sense of shame. And what develops virtue in man? It is again the same sense. Often this sense works as a sharp knife upon a feeling heart, but it only makes it a cut diamond. By this we come to a realization that what is most precious in life is feeling. And if the feeling sense loses its sharpness, it is as if man, who is the salt of the earth, has lost savor; and there is nothing else from where it can be gained. In all times of the world's history whenever a civilization had touched its summits, this sense was developed in the generality. For the heights of every civilization show the fineness of human feeling, which is the highest of all aspects of culture. The manner of the saints has been to approach God with this feeling. It is this feeling which made the Prophet Muhammad cover himself with a mantle every time when the thought of God came. It is the same feeling which gives a person modesty. And all the different forms of prayer have come from this inner tendency of man in the presence of the God of perfection. When the sense becomes more living the person feels the lack in himself and so he respects the lack in others. So what he does is to cover the lack of another, instead of exposing it by criticism. When he develops further he sees other persons exposing their own lacking. So the pain of the wise and of the saintly souls is the pain they feel for others as if for themselves. They feel it like a knife. Spiritual life means to feel the life of another man as one feels one's own life. It looks so cruel on the part of man to expose the lack of another. It may satisfy his vanity or bring him a moment's pleasure, but from the spiritual point of view it looks very cruel. One can overcome this by feeling the oneness of life, the same life in him and in me, so his pain, his sorrow, his pleasure I share, because his life is my life. So people cannot but be sympathetic to all in life, and have more or less love, but the difficulty is they do not know how to use it to their best advantage. A That means that a virtue like this is appreciated and understood and rewarded fully in its right place. That is why it is said: 'In the crown of the king.' Everybody does not appreciate a person with this virtue. The person who has not got this virtue cannot appreciate it. Therefore for a greater person a greater place is required. Tolerance is the sign of an evolved soul, for a soul shows the proof of its evolution in the degree of the tolerance it shows. The life in the lower creation shows the lack of tolerance. The tendency of fighting with one another, which one sees among beasts and birds, shows the reason at the back of it, that intolerance is born in their nature. By a psychological study of the nature and the tendencies of the lower creation one will find that the evolution that takes place among birds and beasts shows this tendency of intolerance becoming less and less. It is the love element developing in their nature which brings them together to form flocks and herds. The same tendency of intolerance sometimes manifests in a more distinct and pronounced form in man. The reason is that man's responsibility in life is greater, his difficulties are many, and he lives in a crowd which is larger than a flock or a herd. At the back of this tendency there is a most wonderful secret hidden, the depths of which are fathomed by the mystic. The mystic, who sees God within and without both, who recognizes God in unity and in variety both, the mystic realizes that it is the One who has known Himself to be One, who does not know of two, who feels uncomfortable and agitated, and shows a revolt on knowing that: 'There exists another besides Me.' And it is, therefore, that the birds have the tendency to fight with their own element, and so, the same thing one finds among the beasts. Among men, man is the enemy of man, and woman of woman. The rivalry that exists between professions and between people of the same position and between nations shows the same thing, that one principle that the nature of the ego, through every name and form, revolts against another, especially of the same name and form, in some way or other. One may give a thousand reasons for intolerance. They exist too, but the inner reason is one and the same in all aspects of intolerance. The Sufis have called it Kibriya, which means vanity, vanity of the One to Whom alone it belongs. Therefore tolerance is not learned fully by trying to follow it as a good principle. It is learned by having the love of God, by attaining the knowledge of self, and by understanding the truth of life. There is no need to ask further about a person who, you think, is spiritual. Once he says, 'I tolerate all,' this is certainly the proof of his spirituality. Mastery comes from evolution of the soul. And the sign of mastery is to conquer everything that revolts one. And that is tolerance. And the souls, who have attained to some degree that spiritual mastery, they will see with me, not only with people, but even with the food, that where a person will say, 'This I do not like, that I will not eat', the soul who has gained the mastery rejects nothing. It may not approve of it; it may not be especially attracted to it. And then with the weather, the masterly soul will not say, 'It is too hot', or 'too damp', or 'too dry.' 'We do not tolerate what is before us.' It is hard to tolerate, but we cannot help to meet it. The difference is in tolerating it. The whole system of the Yogis, especially of the Shiva Bhaktis, is based on making oneself acquainted with something that the nature revolts against. In this way they could go too far in tormenting themselves. The extremity in all things is not right. At the same time that is the principle. It is not the food but how the person accepts it, if he eats it. Thought works with simple food like medicine. If he says, 'It will do me good', it can cure. There are Yogis just now who will drink poison and not die, or jump into the fire and not be burnt. It is a practice to see that even the element such as fire ... Because you will find the intolerant souls most unhappy. Everything hurts them, food, water, air, the change of the weather; every person they see hurts them. Where should they be, uncomfortable in the house, and restless outside? I remember my own experience once that in the school my teacher sad that there was a tree, that the leaves of that tree are very good for a person. They purify the blood – that did not interest me. But, he said, it is so bitter that you cannot drink it nor taste it, nor touch it. I thought 'I think I can!' I did not care for the medicine, I only thought, 'If I cannot, no one can!' I went home and gathered leaves, and everybody could not understand why I was gathering the leaves. It is bitterer than the water in the sea. I drank it, and my satisfaction was that I did not even make a face. I was not tired of it, I continued for five, six days.